Ah, Penang, the Pearl of the Orient. Where Pulau Tikus, Fettes Park, McAllister Road, Gurney, New Lane, Green Lane occurs. Who in their right mind will not adopt Penang as their second home if they are not already from there? Penang has always been a favourite destination for food lovers, and is generally considered the greatest island ever created by God, more famous than the isle of Elba, Patmos and Shutter put together. What about Golf? 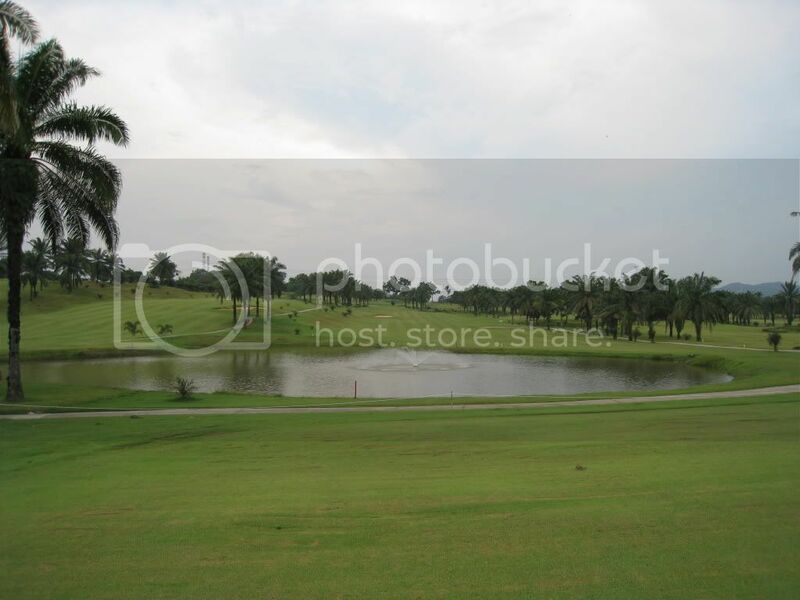 Of course, you have the Jack Nicklaus built Bukit Jambul near Bayan Lepas, the airport. Then the lesser known Penang Airport. And going back to mainland, across the bridge, we have this course called Bukit Jawi. Some gilagolfers found ourselves in Penang for food and sun over four days and decided to drop by Jawi for a visit. This is quickly becoming pretty obsolete. Now with half the world population on Iphone and the other on Blackberry and the rest with the other loser phone companies (I mean serious, anyone still using Panasonic? ), GPS and google maps have created a new generation of golfers who will quickly skip over this part of the review, assuming that there are any generation reading this anyway. But like an old itch, this section cannot go away, so here’s the deal with Jawi. Don’t you just love B-grade maps drawn by 10-year old primary school dropouts? I think the map speaks for itself. Anyway, like that idiotic Staffield course that also employs some endangered orang-utans to draw their maps, Jawi map is also pretty misleading. It’s not so bad actually, but we did get turned around using google maps because there has been some road changes there. Plus, the road to Jawi isn’t so short as the map suggests. It’s quite deep inside. We wanted to give it a 3, but the driver of our group got so flustered at the stupid road changes, we decided to lower it. I know, it’s unreasonable but who cares, this section is probably skipped anyway and nobody is reading this part. We used the Top Premier voucher and still had to fork out about RM150 on a weekday plus caddy and no food. Listen, golf courses, forcing players to have caddies when they don’t want is tantamount to a violation of our human rights. Why would four shockingly handsome men like us want anything to do with 2 women who don’t speak English, dressed up like colourful clowns and one of them looking like she had been secretly snacking between meals and totally unable to find my balls (golf balls) or even bother to give me a good read on the greens? We don’t like courses that force caddies on us. Plus, as a Rahman Putra member, I was an associate club, so I’m almost like a club member. What’s the deal? And not just one, TWO of these!! Price-wise, it’s expensive. 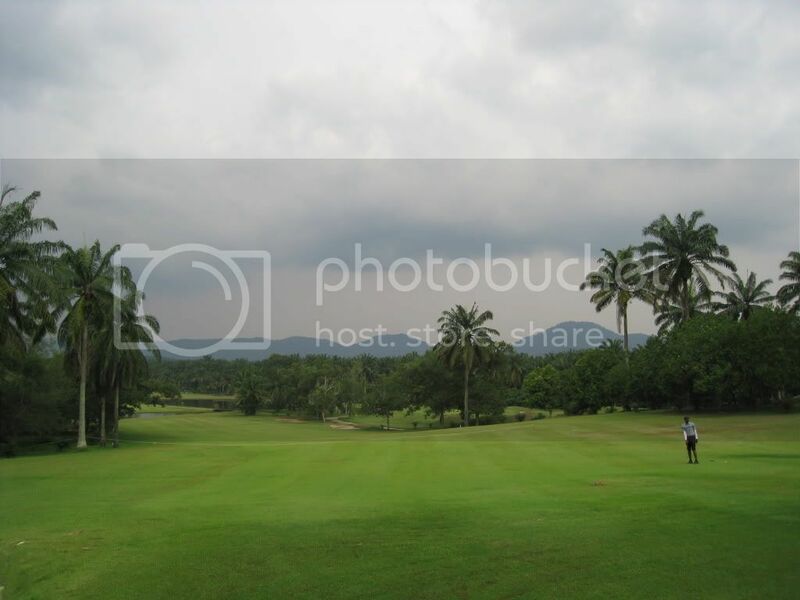 Bukit Jawi isn’t exactly the premier sounding course of Malaysia, and it’s not like there are a whole lot of people bothering to come out of Penang to play there anyway…so why not just drop the darn price??! Bukit Jawi actually looked pretty good. We played on the Lake Course, and once the nightmare of the registration was over with (see below) we were left with a very picturesque view of the course, including the incoming holes of 18th, where the lakes were then glistening in the sunshine. It can make anyone forgive anything. It looked pretty, but does it play well? 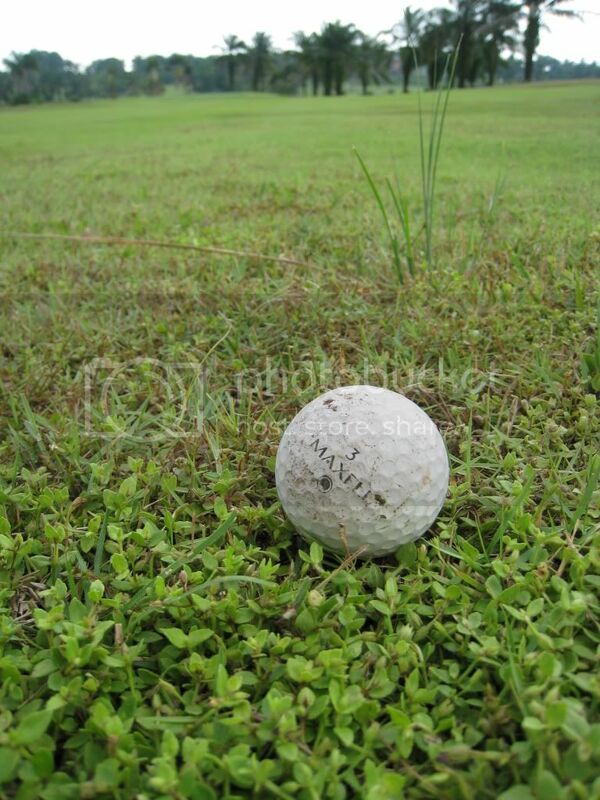 Or will it be like Damai Laut, where it had so much promise but completely failed to deliver the tremendously and unreasonable high standards that Gilagolfers have come to expect? So much for northern hospitality. Here’s our experience. 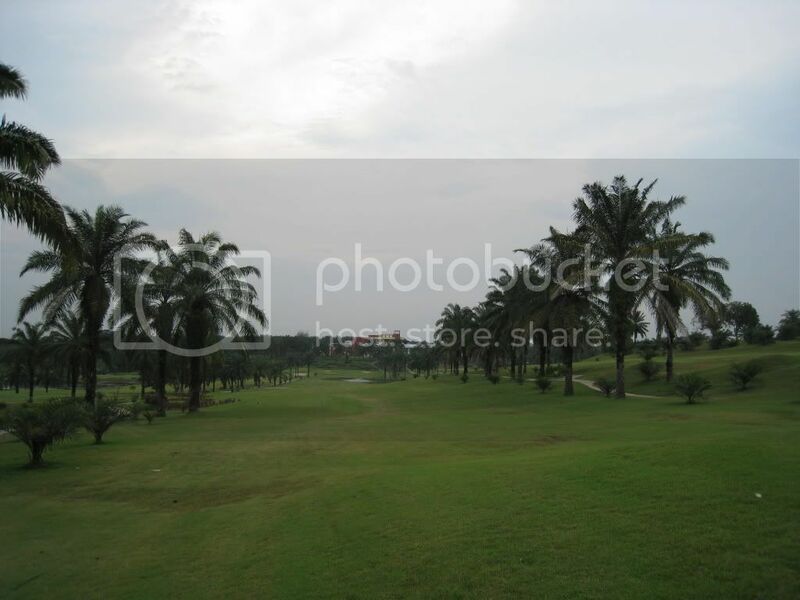 Happily we arrived alive at Bukit Jawi, ready to play some golf. One of my pals started the registration process while we got all the buggies ready. And waited. And waited. As my beard started to grow, I finally stepped out and at the registration found my friend absolutely livid. A young guy was at the registration frantically typing on the keys. I think he was new, because I suspected he kept pressing the spacebar and pretended he was typing some stuff when he wasn’t. Anyway, finally a supervisor saunters in and again proceeded to type stuff on the computer. It’s like they were writing a thesis. I mean, just put four names and print the darn thing woman! System problem, apparently. That’s normal, ok, I admit. But here’s the shocker. The supervisor looked at the time and said she had to go for lunch. WHAT THE %#^*??! While customers are waiting, SHE HAD TO GO FOR LUNCH. Thankfully there was a glass panel between us, because my friend had nearly wanted to physically assault her and pull her head through the tiny round hole in the glass panel and drive a rusted seven iron into her ears. Bukit Jawi, you are STUPID. That’s all that’s left to say about your service. I am not even going to go into the completely useless caddies they have. Through some miracle, we finally got through the registration nightmare and started playing some golf. 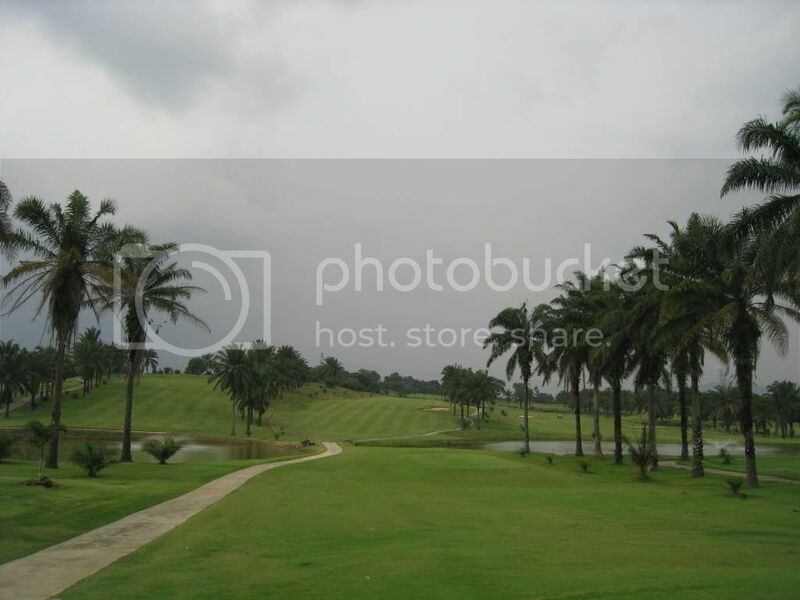 For what Bukit Jawi lacked in common sense of the staff and capabilities of caddy and the inability to ignore lunch when faced with a customer problem; it made up for it’s golf course. It makes sense. 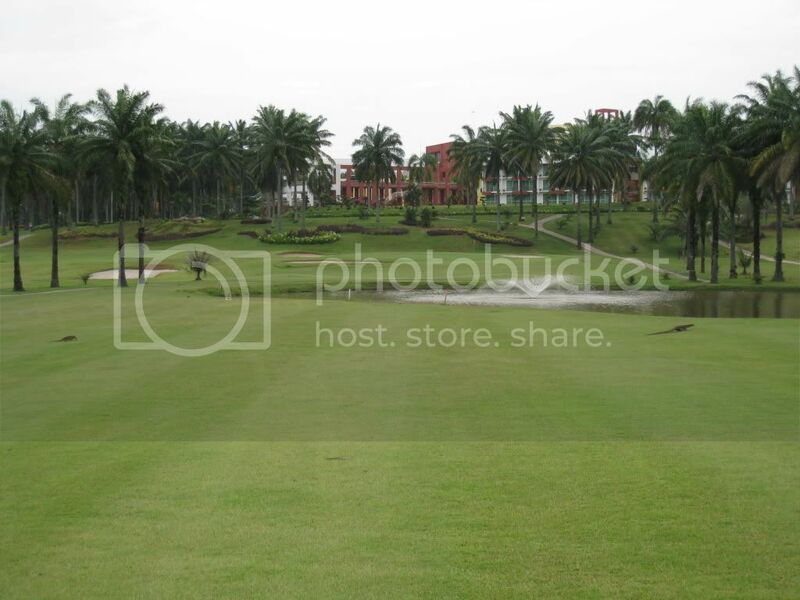 Spend 99% of the budget in golf course maintenance and beautification and about RM29.90 per year to pay staff, because I think that would be roughly how much they are worth. Before EPF. Before Tax. Oh wait, nobody taxes on a RM29.90 per year pay. The fairways were in excellent condition. Especially since our game was interrupted by a thunderstorm for about 45 minutes. When we got out, we still had a great course and by the time I was hitting my last chip of the day on the fairway 30 meters from the green, the fairway was in a perfect carpet-like mode. 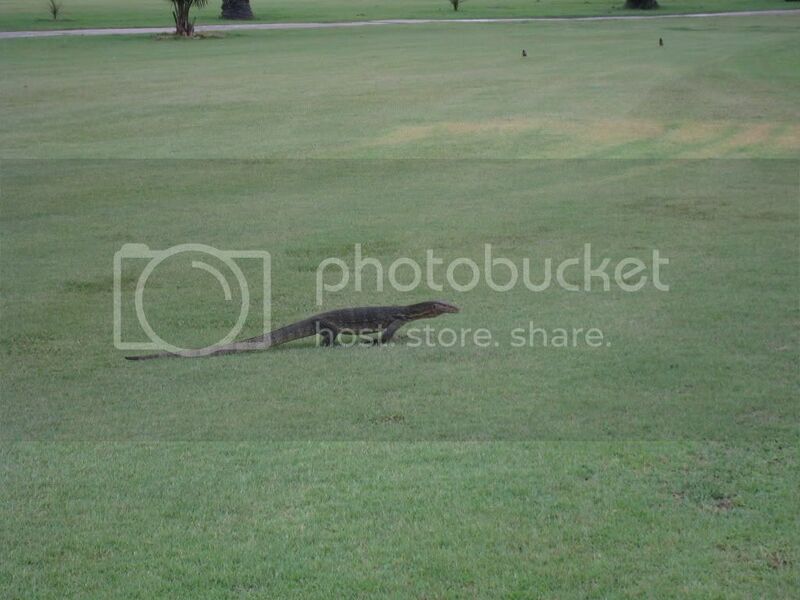 Until I chunked 20 inches of turf out and proceeded to play my last hole like a tapir on marijuana. Greens were in great condition. Or perhaps my putting finally came in order. I’ve been putting like a duck for the past couple of weeks, but for some reason, I always seem to play slightly better in outstation courses. Perhaps because my money mindedness reminded me that I’ve paid so much to travel so far, that I better been playing some non-humiliating golf. Greens were slightly undulating and large, but the roll was there and although 4 is a generous number to give, I’ll do it, as it more than made up for Jawi’s pathetic service. By the way, the caddy will be of no use to you. She’s a free loader, most of their advice only serves to help confuse the Russian out of me. No complaints for the rough either. Before the rain, the sand was in great condition. I didn’t spend a lot of time in it, but my friend did. On the signature hole 15th for instance , a total of 4 bunkers surround the island green, and he managed to play in ALL of them. I have never seen it before, he hit from one bunker to the next until he played all and finally ended on the green. The rough wasn’t really tough, unless you hit it so off line that you end up at the back of a palm tree. 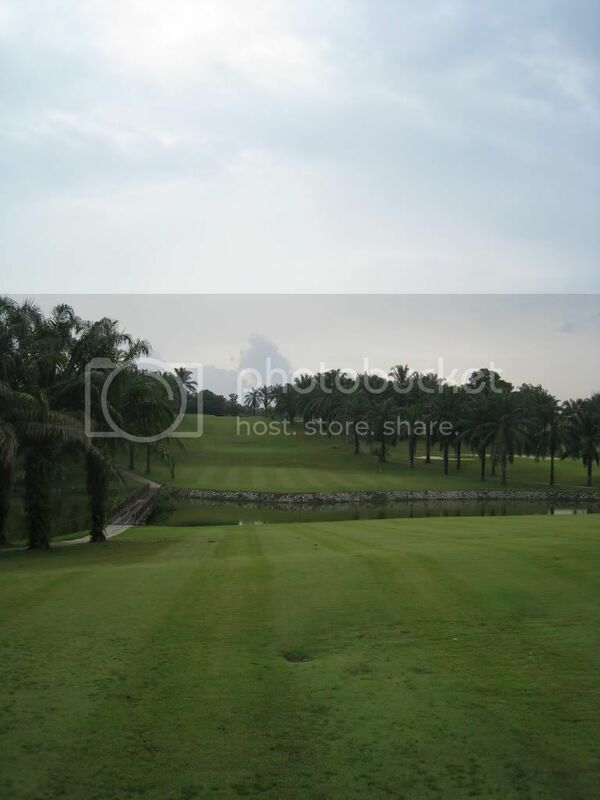 However most of Bukit Jawi plays pretty broad and you just get a feeling of expansiveness in the course. Very Nice. 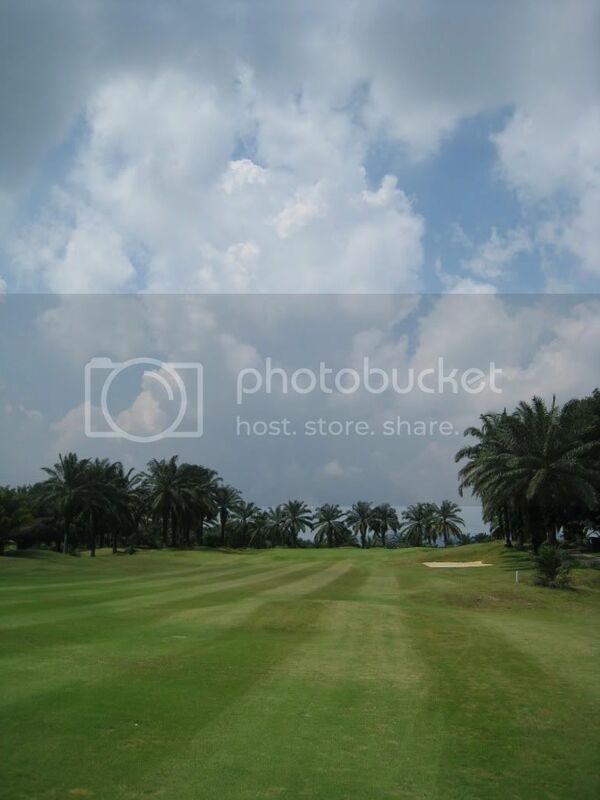 Some courses, like Ayer Keroh or Seri Selangor, gives a feeling of claustrophobia to a golfer. Each hole there is like self contained experience, in Ayer Keroh’s case, something challenging to every hacker; in Seri Selangor’s case, creating an experience as fun as Chinese Water Torture. But it’s preference, and for most of the gilagolfers I play with, we prefer to have a vast vista of the course around us, to experience the full joy of the created golf course and the sacrifice of thousands of trees, some extinct, never to be heard of again on this planet. This meant elevation, and Bukit Jawi has plenty of it. I suppose this is why it’s called Bukit Jawi, since Bukit is ‘hill’ in Malay. For instance the awesome hole 15th was something we all enjoyed, with the tee off plunging down into the semi island green. The par 4 14th is also another beauty, with the ravaging lake on the left and a thin strip of fairway to drive to. We all got eaten up on the 18th, requiring a good drive to cross the lake and an equally good second to climb to the green. The par four 5th is probably one of the best and most exciting holes on the course. It’s a straight L dogleft right, covered by forests on all side. If we are brave enough, we can tackle the one-on by driving over the forests, which one of us tried…and failed. But it’s definitely possible. And the elevation changes in this hole is so great your ears can pop just walking down the fairway. Very enjoyable hole, this. Wildlife here is also extremely interesting, with monitor lizards the size of alligators crawling up and down the fairway in pairs and family. Par four 5th, as mentioned is very fun to play. The 15th is beautiful, and requires several playing of it. And I had a birdie to go as well, because the green was very well maintained and the fairway was excellent as far as I can see. This is definitely a course that we will have fun with, even with the rain threatening to wash us out, but because of the view and the largeness of space, it’s a very enjoyable experience, to just stand on one of the elevated tees and let it fly. If not for the stupid service, which we have almost all but forgotten, this would have been a perfect score. 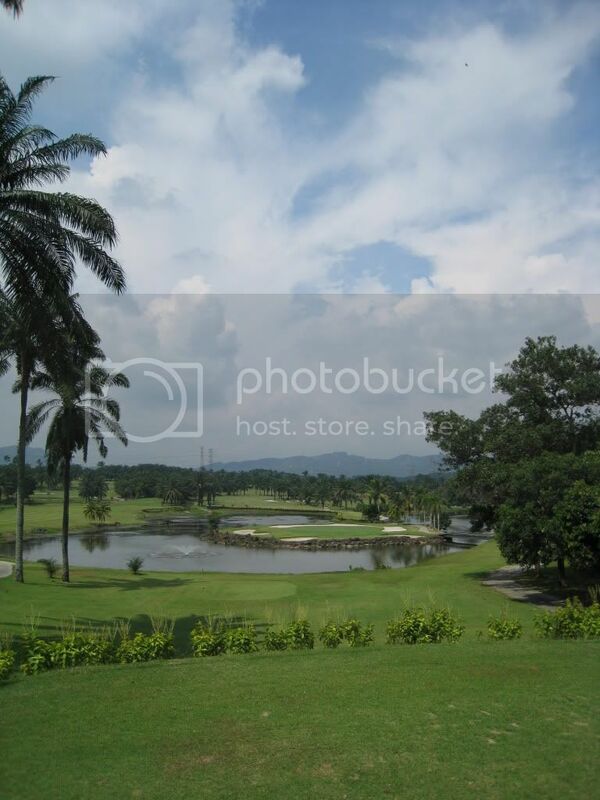 Bukit Jawi is a scenic course. Simply because of it’s wideness. You can see a lot from the elevation and almost every hole is visible. Some like it this way, some like the isolation of other courses that’s constipated like Seri Selangor. It’s a pity they don’t have good service though. It would have been absolutely stunning if they had just trained a couple of chimps to register for us instead, I think this would have been bumped into the higher category of Must Play. 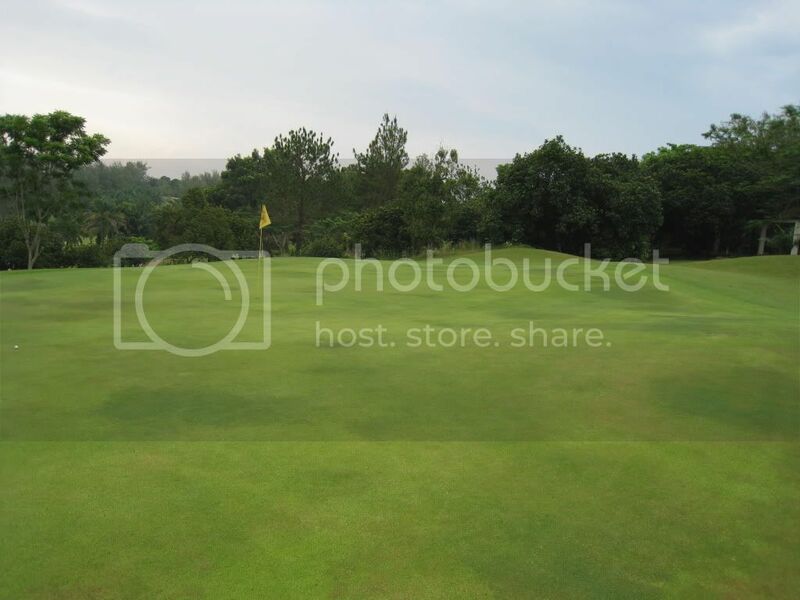 The good: Great layout; course condition is very impressive; elevation and expansiveness of the course is a great turn-on; greens well maintained; passes the thunderstorm test with flying colours. The bad: Service, service, service-pathetic registration process and violation of human rights by putting two women on four outstandingly gorgeous men; pricing is still steep for second tiered course; drive there might be a challenge as roads will randomly appear and disappear depending on seasons, like some sort of magical wonderland. The skinny: 23 of 40 divots (57.5%). 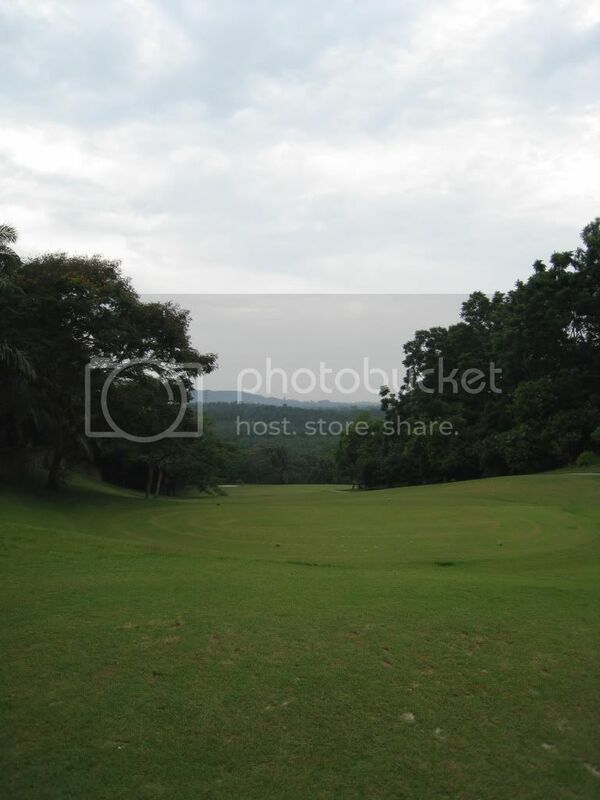 We recommend Bukit Jawi for the experience of playing. If you like service, trust me, the kueh teow seller in Pulau Tikus is a million times better service-oriented than this pathetic lot.